In this week’s episode of Warrior of the Week, TickPick is proud to highlight Nathan Rogers from Cincinnati. 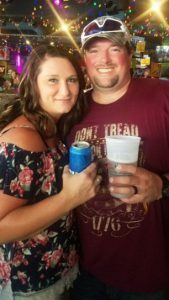 We sent Nathan and his wife Mandi to a Luke Bryan and Sam Hunt concert. We are incredibly grateful for Nathan’s service in the Army and his contribution to his community – we couldn’t be happier to honor him as Warrior of the Week! Military Career: Enlisted in the United States Army right out of high school and became an Infantryman, Member of the Wounded Warrior Project, Recipient of a Purple Heart. This week’s episode is written by Nathan’s wife, Mandi. When we spoke with Mandi over the phone it was clear how much Nathan means to their family, and how proud they are of him – it felt right to let her words tell Nathan’s story. The one thing to know about military men is that they aren’t going to brag about themselves. Nathan certainly fits this, and that’s why I’m speaking for him. Nathan was born to be a hero. At a time when all of his friends were going off to college, Nathan entered bootcamp to get ready for war. This was in 2002 when he was only 18, but Nathan’s always had such a love and respect for our country and it’s values. Nathan left the Army in 2008 after being wounded and was awarded a Purple Heart.We met soon after and started a family: Jordan, Braydon and Jaicee are our world. It hasn’t been easy for Nathan since he came home, but he’s an amazing husband and father to our children. 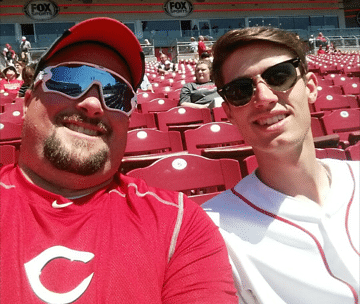 In May of last year, Nathan was picking up our son from baseball practice when he noticed a girl struggling in the river (The Great Miami River in Ohio). He dove right in without hesitation when he heard her scream for help, and pulled her to safety. That’s just what Nathan does – he’s our hero. There was a story in the local news, but Nathan doesn’t care much for the attention. Nathan struggles with the psychological and physical damage from his time in the Army, but thankfully we’ve become involved with the Wounded Warrior Project and they’re able to help out. Nathan’s service to his country will always affect him, and us. The birth of our first child, birthdays and holidays hold a different feeling for us than for civilians that don’t have the memories from war. Our family is so proud of Nathan, and so grateful to have him in our lives! Check out the local news story on Nathan’s heroics here!